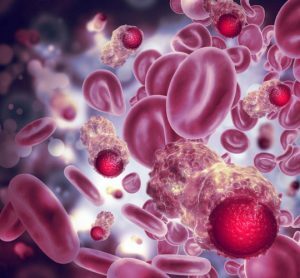 A new study has shown that a signalling pathway that normally helps cell growth worsens a form of leukaemia. The NOTCH1 pathway controls the heat shock transcription factor 1 (HSF1) signalling pathway in T-cell acute lymphoblastic leukaemia (T-ALL), and promotes tumour growth. As such, the researchers suggest that blocking one or more genes in the HSF1 pathway could lead to a new approach in targeting and treating this disease. Scientists at the NYU School of Medicine led the research and identified an anticancer experimental drug as being in development against heat shock protein 90 (HSP90), a target which is in the HSF1 pathway. This drug is in clinical trials as a treatment for breast cancer, led by study co-investigator Dr Gabriela Chiosis. This study identified the subset of T-ALL patients which are more likely to benefit from the new therapy, and said their study is the first to link a type of leukaemia to the activation of HSF1, which is imperative to the production of many other proteins, including HSP90. Should further testing prove positive, Prof Aifantis said the experimental drug, labelled PU-H71, could be adapted for clinical trials in T-ALL patients. 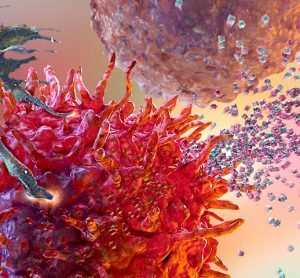 Early in vivo experimental studies show that blocking HSP90 kills only cancer cells, and as such is likely to have fewer side effects than current cancer treatments, such as chemotherapy, which kills cancerous and healthy cells. During the study, researchers genetically blocked HSF1 in mice induced to develop T-ALL. This killed the cancer cells, but not the mice, showing that HSF1 was essential to the survival of T-ALL cancer cells, with no adverse effects. When HSF1 was remove from bone marrow stem cells healthy blood cell production was not interrupted. Dr Kourtis also mentions that one in five children treated for the disease relapses within a decade, going on to say that attempts at blocking NOTCH1 have failed due to adverse effects on healthy cells within the pathway. 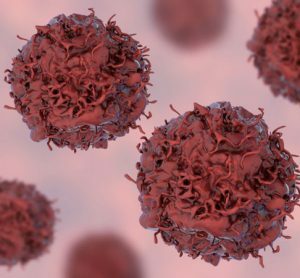 Further laboratory investigations suggest that silencing the gene behind the production of HSP90 effectively killed leukaemia cells – especially those with high NOTCH1 and HSP90 activity. Prof Aifantis said his team plans to evaluate effects of 8 other proteins produced by active genes in the HSF1 pathway to identify anticancer activity in T-All. The team also wish to launch clinical trials. The study was reported in Nature Medicine.